This is our 8MM Classic Domed Tungsten Ring. 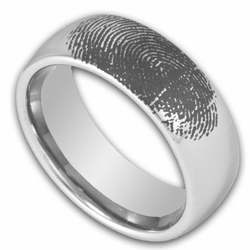 If you order this particular ring we will precision laser engrave a fingerprint of your choice on the outside of this ring. 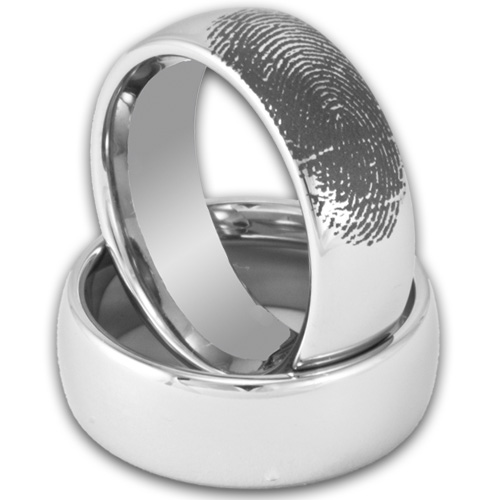 This ring is genuine Tungsten Carbide and is designed to last a lifetime. This ring makes an ideal promise ring, wedding band, and the addition of the fingerprint makes it a great gift for your significant other, or great from a child to a mother or father! The 8MM width of this ring is ideal for a man, and good for a woman looking for a wider band! These rings in the same style are available in multiple colors. 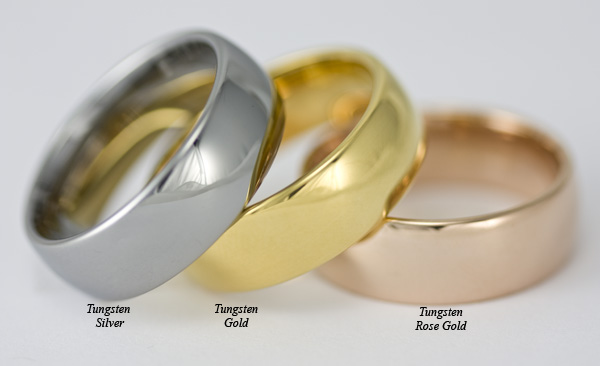 You can choose from the traditional silver tungsten color, gold color, and this ring can even be made in the very popular rose gold!